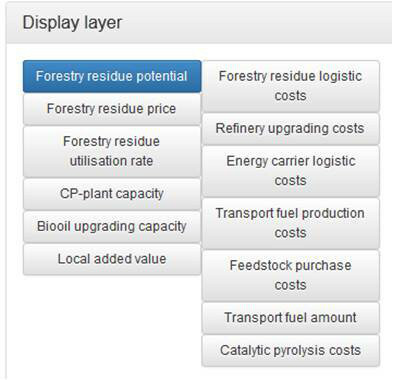 The aim of the BioBoost Navigator is to inform about modeled costs, sites and sizes of three pathways for the conversion of residue biomass to usable bioenergy products in the European Union. The modeling was made with the Heuristic Lab software of the University of Applied Science Upper Austria http://dev.heuristiclab.com/. Results are not absolute but approximations, which may differ from model run to run. 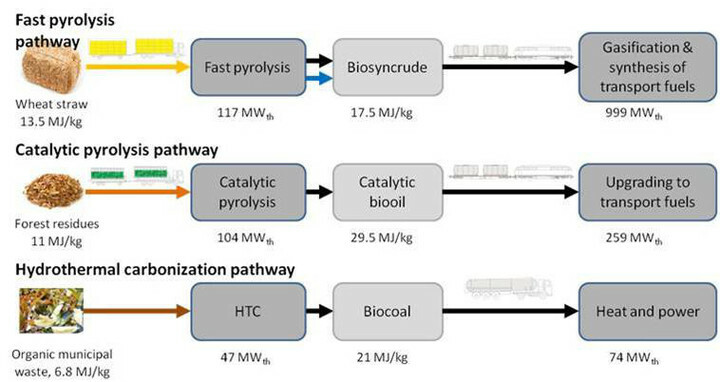 The pathways are characterised by biomass conversion to a long-distance transportable energy carrier in smaller plants and upgrading to the final product in large, central plants, as shown in the figure below. 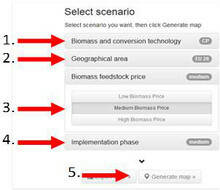 Click on the GENERATE MAP-button to display the scenario. Plants can be compared by the composition of the production costs and the amounts in a chart. The comparison is restricted to the end product. 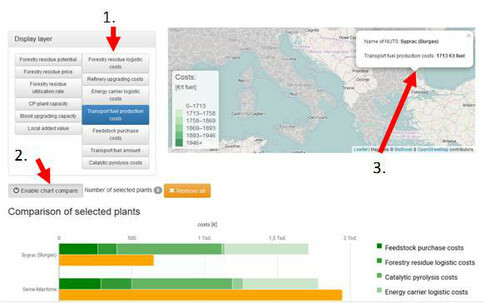 Select plants for comparison by click on the respective NUTS you would like to compare with each other. 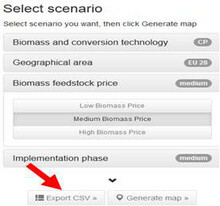 The complete dataset (117 parameters) of the selected scenario can be downloaded as csv by click on the EXPORT CSV-button. @SYNCOM R&D consulting e-mail link: office@syn-com.com.